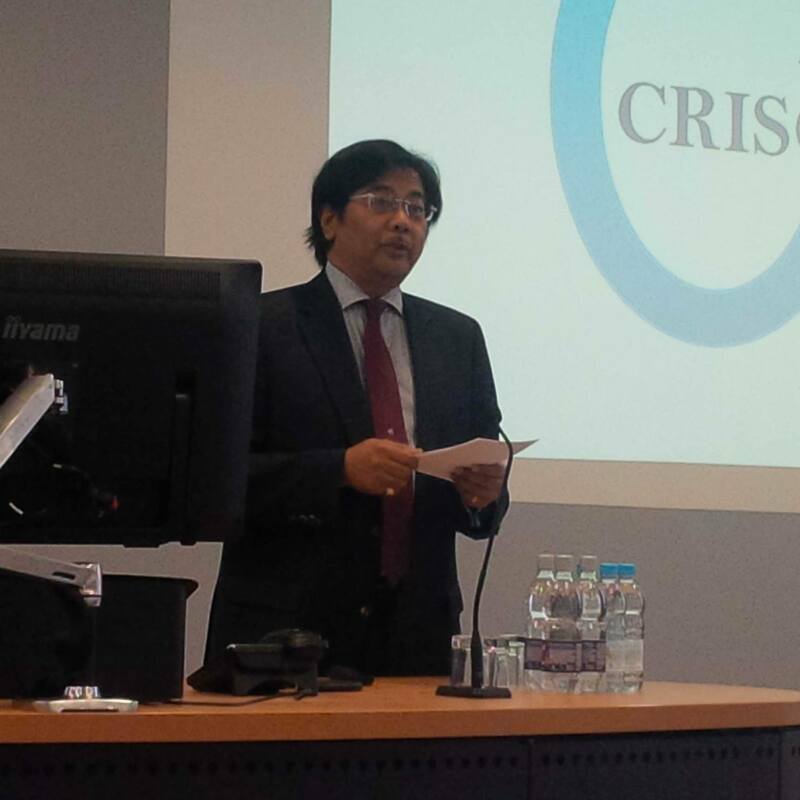 The Ambassador spoke to more than forty Indonesian PhD and research students from Cranfield and students from other leading UK universities such as Oxford, King’s College, Loughborough and Warwick at the Cranfield Indonesian Scholars Community (CRISCOM) Research Workshop. HE Hamzah Thayeb while delivering his opening speech to the participants of 1st CRISCOM Annual Research Workshop. HE Mr TM Hamzah Thayeb highlighted the importance of good education to move his nation forward saying: “The UK has a high reputation for its academic tradition, innovation and excellence. Many other universities and Cranfield University in particular, is highly recognised for its academic innovation and research. According to Dr Benny Tjahjono, a Senior Lecturer at Cranfield who facilitated the workshop, it brings together early stage researchers in a friendly research training atmosphere. “The event offers an avenue for sharing good practices in research amongst PhD students and researchers alike”, he added. This was the first of what Cranfield hopes will be an annual research workshop for Indonesian students in the UK. Filling a gap which exists for research students, it offers advice to the postgraduates on best practice approaches to practical work, guidance on writing literature reviews or proposals for industry and provides them with the opportunity to speak individually to academics and researchers. The University currently has 17 Indonesian students studying at PhD or Masters by research and 5 of its staff are originally from Indonesia, more than any other University in the UK. Cranfield has strong links with some of Indonesia’s top-tier universities, including, Institut Teknologi Bandung (ITB), Institut Teknologi Sepuluh Nopember (ITS) Surabaya, Gadjah Mada University and Bina Nusantara University. Cranfield announced in November 2012 it was one of eight UK universities to sign an education partnership agreement with Indonesia. The UK-Indonesia Scholarship Programme supports up to 150 PhD students to come to the UK each year, to help to promote student mobility and the transfer of knowledge between the two countries. Since 2000 Indonesia has gone from being the world’s 27th largest economy to the 16th largest and is forecast to have the world’s 7th largest economy by 2030*. It has the 4th largest population in the world behind China, India and the USA.